What does it mean to be a faithful, Bible-believing Christian? How do you measure genuine orthodox doctrine? How can you determine when a theology or a movement begins to stray from the path of truth? For centuries, dedicated Christians have debated these questions with great intensity. Even though they have amassed over that time a wealth of insights and answers, the debate continues. 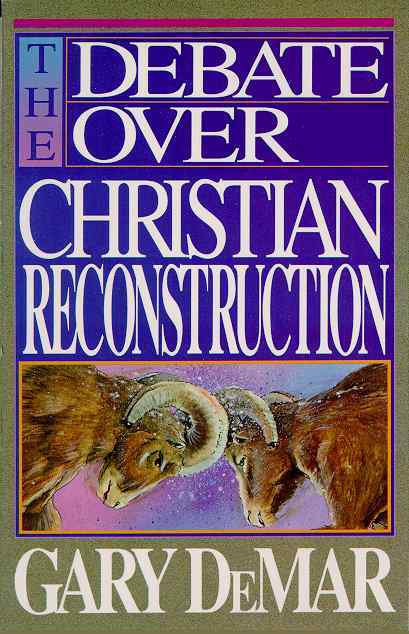 On April 14, 1988, four prominent Christian authors-Dave Hunt, Tommy Ice, Gary North, and Gary DeMar-added another chapter to that perennial debate. But is was not just another chapter that they added. At stake was the future of the Reformation movement begun nearly half a millennium ago by Martin Luther and John Calvin. At stake was the integrity of American evangelicalism. At stake was the very nature of Western culture and civilization. In this powerful and penetrating book, debate participant Gary DeMar offers his analysis of the proceedings. He outlines their significance and then he offers Scriptural plan for their resolution. Far from being an incomprehensible tome of inconceivable concepts and unintelligible disputes, The Debate Over Christian Reconstruction is a lively and easy-to-understand discussion that highlights the essentials of the faith.